iShopChangi is Changi Airport Group’s latest online initiative. iShopChangi.com is the newest tax and duty free shopping portal that lets you make purchases anywhere as early as two weeks to 24 hours before your trip without having to rush before your flight from Singapore. Some 1,800 popular duty-free products from a selection of Changi Airport’s 350 retail and services stores across Changi Airport’s three terminals are made available online. There are five categories of products to pick from — Beauty, Wine and Spirits, Chocolates and Delicatessen, IT & Electronics as well as Timepieces. The current alcohol selection available online is close to 50% of what is available in store while around 60% of the store items in the beauty category are currently available online. iShopChangi aims to be the go-to site for passengers who prefer to plan ahead, are time-strapped or unaware of Changi Airport’s offerings. Travelers are wired to do their duty-free shopping at the physical store at the airport terminals and many did not know the existence of the online shopping site iShopChangi. 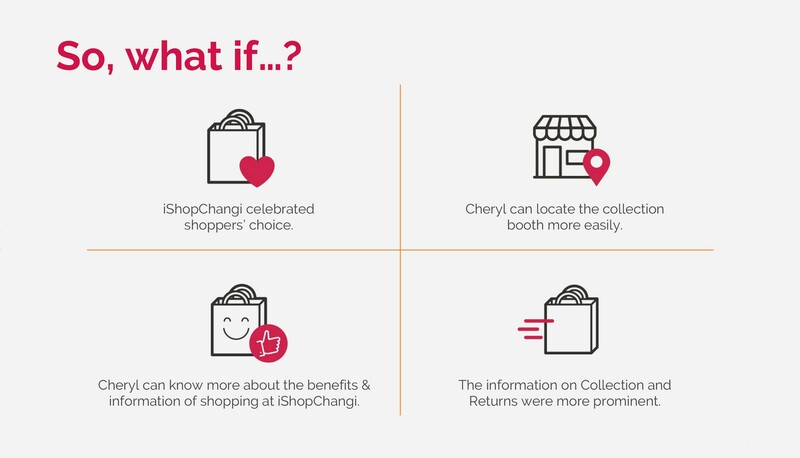 The business goal of iShopChangi, is to drive travelers to plan ahead and create a fuss-free tax and duty free shopping experience before they fly. How might we help improve the usage of the site? 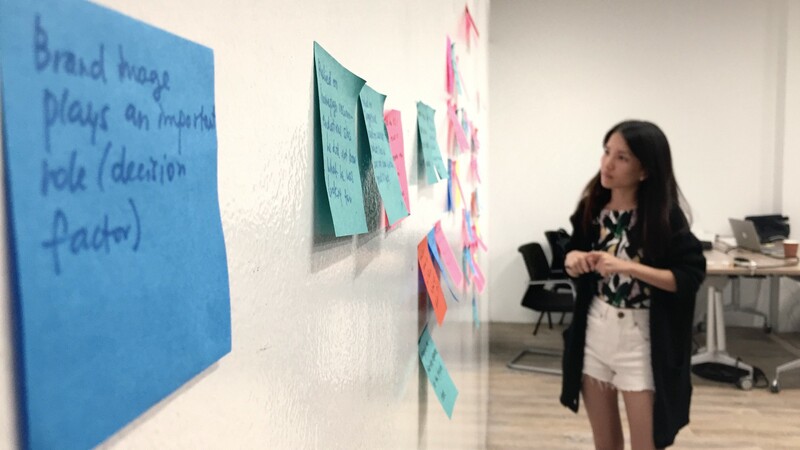 To understand the problems hindering shoppers from using iShopchangi, we conducted an in-depth research study on the user groups — which includes understanding their shopping behaviours and their experiences towards using the iShopChangi website. The objective is to uncover insights which could help craft value propositions of the service offering. Participants also provided valuable feedback on their shopping experiences on other e-commerce website. An evaluation of other duty-free shopping websites was also conducted to understand how and what iShopChangi is lacking in. In the recent months, there has been a steady decline in rank, visits and traffic to iShop Changi’s site. On top of that, the other duty-free shopping websites has a much clearer intent on what purpose the website serves. I rely on recommendations when I shop online. I shop with specific brands in mind. I look out for exclusive promos and prices. Product quality is important to me. 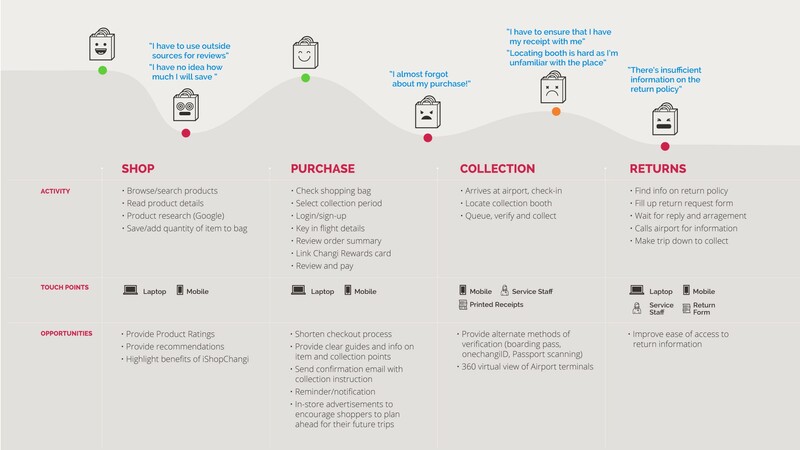 Personas, customer journey, features opportunity maps were developed based on the insights. These served to inform the redesign of the iShopChangi website. From this journey, we can see that Cheryl encountered a few difficulties throughout the different stages. 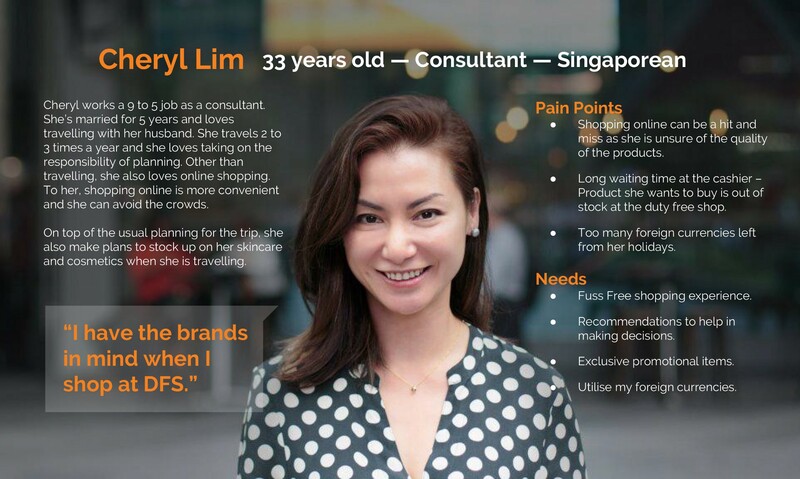 We identified some of the opportunities which iShopChangi could come in to help better the experience for Cheryl. 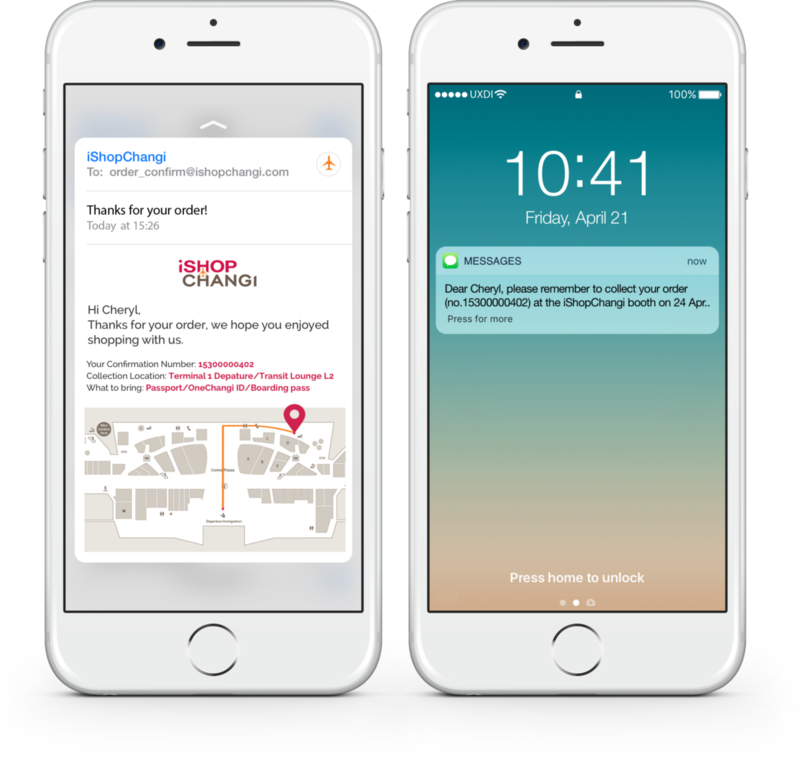 Before delving into the solutions, we determined that iShopChangi is a shopping experience that will cater to a worldwide audience on a wide-range of devices. The entire experience has to be designed, reviewed and optimized mobile-up. 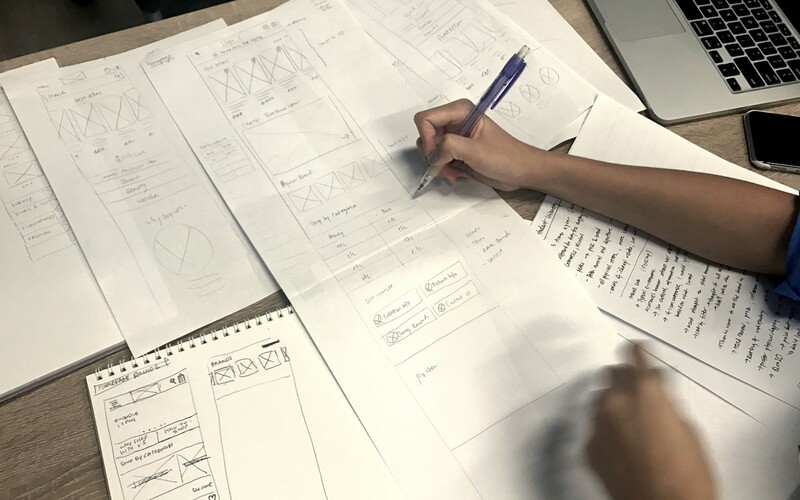 Keeping in mind the opportunities we have identified, our team moved on to design studios to ideate the potential structure of the website. We wanted to ensure that clear and concise informations about the collection would be provided to the shopper. We added in all the necessary informations and also the floor plan in the eDM confirmation so that it would be easier for the user to reference to during collection. An SMS reminder is an additional service that would reduce the possibility of the shopper forgetting her/his purchase. The efforts to improve the experience of iShopChangi did not just stop at the redesign. 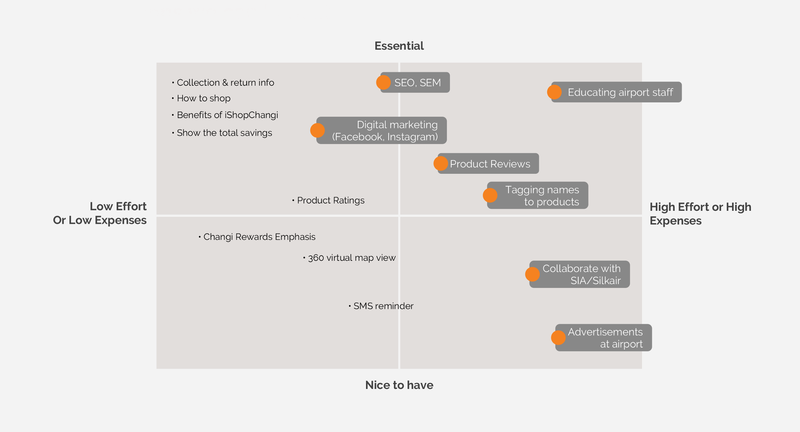 Our team identified some other efforts that we could look at in the future to create awareness and enhance the shoppers’ experience. One potential feature that we can look at to improve the service experience is to allow the Tagging of names to product purchases. Why?–you may ask. Many of the users mentioned that some times they are only making the purchases for their friends. So what if we allow them to tag the product to a name on iShopChangi, and their purchases would be tagged with names of their friends. So upon collection, it will reduce the effort to open up the packages to identify which friend it belongs to. Features in grey boxes are the other solutions we can look at. We conducted a few rounds of user testings to further improve our solution. The revisions made were based on real observations during our 2 rounds of UT. From there we were able to iterate our prototype. 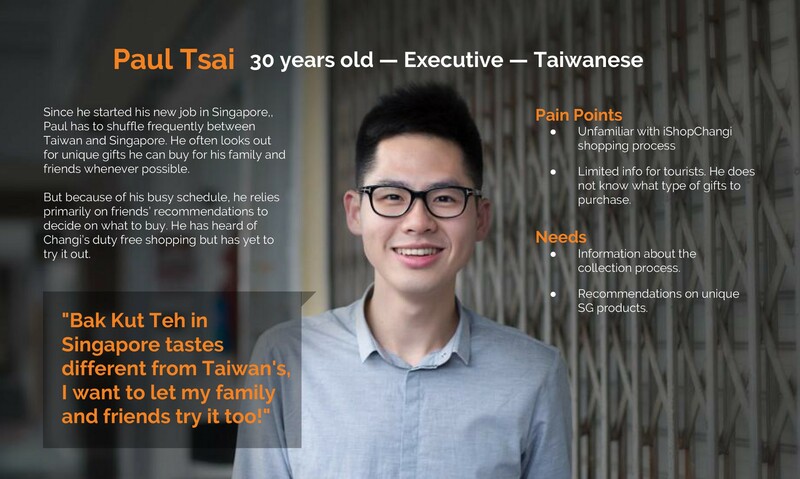 We wanted to highlight the benefits of shopping on iShopChangi. In the first testing, none of our users actually noticed the Why Shop with Us banner. The message was unclear and visually it was unengaging. We made some visual enhancement: icons and bold colour and created clearer call to action. We re-organized the menu and placed visual hierarchy on important elements such as my account. We had our assumptions that most people would not use the breadcrumbs on their mobile. So we decided to test it out to prove our theory. With the testings, we were able to validate that users rely on the back button on their phones or swipe motion when browsing on their phones. Based on this finding, we removed the breadcrumbs on mobile. We also decided to display the product name above the image and reorganise the product details layout. The end result would be a responsive site that displays consistent, clear and curated information across all devices. The option of being able to browse anywhere provides shoppers a pleasantly enhanced shopping experience.